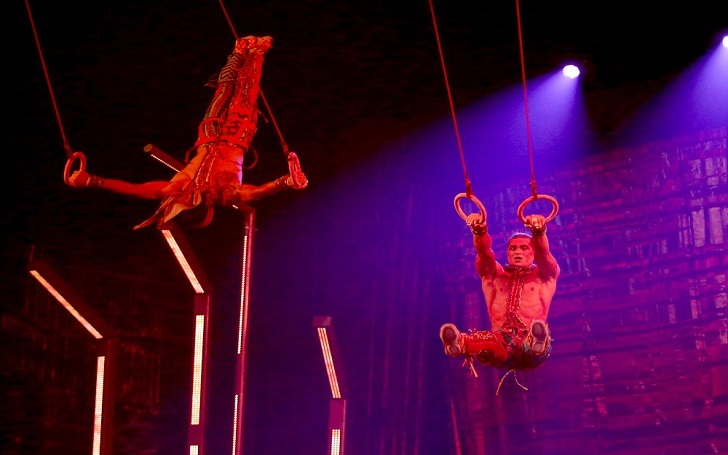 Yann Arnaud, a Cirque du Soleil aerialist, has died after a deadly fall during a show in Tampa, Florida, on Saturday, March 17, multiple sources have confirmed. Following the tragic accident, the company has released a statement where it explained the tragic death of Yann. It is with immense sadness that Cirque du Soleil Entertainment Group reports that a tragic accident occurred last night, March 17, during a performance of its show Volta, in Tampa, Florida. While he was performing the aerial straps number, long-time aerialist, Yann Arnaud, fell onto the stage. President and CEO of Cirque du Soleil Entertainment Group, Daniel Lamarre, said that they are in shock and devastated by the tragic death of Yann, who was with them for over 15 years, and explained that he was loved by all who had the chance to know him. The entire Cirque du Soleil family is in shock and devastated by this tragedy…Yann had been with us for over 15 years and was loved by all who had the chance to know him. Our thoughts are with Yann‘s friends, family, and loved ones during this tragic. Julien Martinez, who attended the show at the time, described the scary incident to CNN saying that children were freaking out there. It was awful. You heard all the cries of the audience. There were children there and they were freaking out. Hours before his death, Yann shared a post about his act via Instagram. Back in 2013, aerialist Sarah “Sassoon” Guillot-Guyard left the world after falling during a Las Vegas show.